On June 23rd, Votorantim Cimentos inaugurated a new cement plant in northern Brazil, in the state of Pará. With estimated investments of R$ 860 million, the factory – located in the town of Primavera – was built using the latest technology and follows the company’s Sustainability Principles. The plant will have a production capacity of 1.2 million tons of cement per year and will serve the the North and Northeast regions of Brazil. 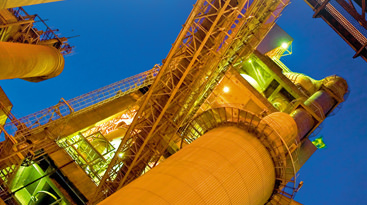 “This plant in Primavera is part of Votorantim Cimentos’ major investment plan. Despite the challenging situation in Brazil, we are moving forward with our long-term vision and our confidence in the development of the country,” explains Walter Dissinger, Votorantim Cimentos’ CEO. The new operation is part of the company’s expansion plan, which will increase its global capacity to approximately 59 million tons/year by the end of 2018, in line with the company’s plan of geographic diversification. This expansion plan adds to investments of R$ 12 billion made between 2007 and 2015, which resulted in a 94% increase in global production capacity. The investment plan through 2018 also includes expansions in the United States (Charlevoix), Turkey (Sivas), and a new operation in Bolivia (Yacuses), which will increase the installed capacity and reinforce the plan of geographical diversification. The company is also expanding in the San Luis region of Argentina, although our holdings there are not consolidated in our overall financial results and production capacity figures. Local development – In addition to generating jobs, Votorantim Cimentos reinforces its long-term commitment by investing in the social and economic development of the town where the new plant is located. The Company has reinforced its social responsibility guidelines, through voluntary social investments and also through the Technical Cooperation Agreement, signed in 2011 between Votorantim Cimentos, Votorantim Institute and the City Hall. The Agreement includes initiatives in the areas of public infrastructure, urban planning, health, education and training of the municipal public administration staff. Through the initiatives that are part of the Agreement and its Social Investment Plan, Votorantim Cimentos has invested more than R$ 10 million in Primavera. Among them are the reconstruction of a municipal library and the renovation and expansion of the José Gomes Pereira and Manoel Antonio Leite municipal schools, which were completed and presented to the population in 2015. A new Health Center with capacity for treating six thousand patients per month will also be opened in 2016. Sustainability is inherent to the Votorantim Cimentos business and permeates its strategic plan. The company believes it is necessary to build long-term relationships and to act in an ethical and transparent manner, respecting present and future needs of society.